Hi Paul – Thanks — the idea of a tradeoff between muscle mass past a certain point and health (if there is such a tradeoff) is an interesting one. However, I don’t think that professional bodybuilders dying young really proves much of anything on that question. Everyone in those videos almost certainly used enormous amounts of steroids and other performance enhancing drugs. To the extent they died young, it was likely from drug overuse, not just from having large muscles. Also – Maybe I am misremembering, but I thought I remembered from your second edition book that a high ratio of arm size to waist size was a good predictor of longevity? Of course, this accounts for both muscle mass and fat mass, so it’s measuring two things at once — still, it implies that (at least to a point), more muscle mass is better for health. Yes, in the general population being stronger and proxies for it like having more muscle are clear gains. Your point about the steroids and drugs reinforces mine — there are interventions which give bigger muscles but damage health. Steroids are one, antioxidant deficiencies are another. Wouldn’t it be the case that chronic steroid use has other effects in the body apart from increased skeletal muscle that are the important negative factor? Yes, of course. So do antioxidant deficiencies. How interesting that you posted this when I just started some weight lifting last month (mainly body weight so far) after a very long time of being sedentary. And of course, I heard that same information about taking antioxidants right before or after a workout because they think it blocks exercise hormesis. Your perspective actually makes sense. I want to build more muscle for aesthetic reasons so I won’t be skinny fat anymore. But I definitely don’t want to be as big as body builder, and I want to live a long time. Vitamin C supplementation is associated with accelerated early atherosclerosis measured by carotid IMT compared to a protective association with vitamin C from food. The adverse association of vitamin C supplementation may be greater in patients with higher serum cholesterol levels. The current results provide a potential mechanistic understanding for the observed differences between Vitamin C in supplements vs food in prior studies. Given these observations,vitamin C supplementation does not appear to be currently advisable for prevention or treatment of atherosclerosis. This is fascinating, and makes much sense. How *could* hypertrophy be a positive adaption when, at the very least, muscle mass consumes much more calories, even at rest? It’s almost certainly maladaptive. Paul, on the subject of antioxidants, I wonder if your recommendation for Vitamin C still holds, given some of the theories about the ill effects of iron (saw your Facebook link to that) and knowing that C enhances iron absorption. I’d be curious about your thoughts more generally on the iron theory, as it seems intriguingly explanatory, having both the mechanism and epidemiology to support it. We recommend controlling iron levels through monitoring and blood donation, so I don’t see why iron should control our C recommendations. Regardless of any theories, its well established in clinical evidence that isolated ascorbic acid (Vitamin C) is detrimental to athletic performance and recovery. There is also evidence that ascorbic acid is not acting as an antioxidant when taken in isolation, given the increase in oxidative stress biomarkers. However, plant-based vitamin C, anthocyanins, and other polyphenols have established performance enhancement benefits. The primary issue is isolation vs. broad-spectrum. Do you know if there have been any such studies for sodium ascorbate instead of ascorbic acid? I took a quick look and didn’t see anything in my database. I really don’t think it would matter much either way regardless of the mineral attached to it. I suspect you are incorrect on this one. I suspect what you are seeing is that (roughly) 90% of strength adaptation is motor learning and efficiency and 10% is muscular growth. However, that only applies to newbie lifters…at some point you become perfectly efficient (or as much as you can be) and the only way to increase torque is with more muscle mass. Hi Michael, I agree, to become very strong requires more mass. I am merely making the point that there are mass-increasing strength-reducing interventions, so it is wrong to blindly equate increased mass with improvement. I agree with Michael. Mass is an indicator of strength. What is not an indicator of the skills often needed to demonstrate strength. I hadn’t seen the 90% number before, but it makes sense for anyone that has seen weight class Olympic lifters. This muscle part of this post has me puzzled. I hope you do a follow up where you go into the topic deeper. Paul, it seems clear that larger muscles can be stronger, more capable muscles in some contexts, even while they can be a sign of, and adaptation to, muscle pathology in other contexts. So by itself size doesn’t tell you anything about health, which to me renders your reasoning here speculative at best. For example, racing greyhounds have enormous hearts compared to other dogs, but extremely capable and healthy ones. Heart muscle that is both healthy and abundant lets them accelerate faster than a thoroughbred racehorse. Their large hearts are apparently a genetic adaptation, since they retain them in retirement. The skeletal muscles of racing dogs are also enormous. This arises from their training and subsides in retirement. But these are also very large, yet very healthy muscles, obviously. There is no comparison here to cardiomyopathy, with diseased, enlarged hearts that can barely function. I own healthy greyhounds with large hearts and had a cat with a large heart who could barely climb a step due to heart failure. The two contexts could not be more different. Similarly, natural bodybuilders with big muscles are often enormously strong and fit. They can easily lift weights the rest of us could not if our lives depended on it. There is again no comparison between this situation and diseased cardiac muscle that is barely sufficient to keep a person alive. It is interesting that the subjects in the study you cite showed an apparent inverse correlation between muscle size and strength changes. But I’d be cautious about interpreting the meaning of that observation. For one thing, it is far from clear how one might reasonably measure “strength,” or even what “strength” really means. At the very least demonstrations of “strength” such as 1RM rely on acquired skill and neuromuscular adaptation as well as underlying muscular capability. Many factors might explain the inverse correlation in that study (even if it’s real and reproducible, which it may well not be). Moreover, the physiological relationship between muscular size and apparent strength is not understood. Sometimes they don’t seem to correlate very well, but often they do, when people strength train. No one knows why. Individual differences seem very important. Dead bodybuilders? To say there are many possible reasons they died would be quite an understatement considering how many of them lived. All we really know, I think, is that big muscles are not a magic fairy dust for cheating the grim reaper. I don’t think enough is understood in this field at this point to draw the kinds of conclusions you did. Though you might be right. The studies purporting to show that antioxidant supplementation hurts positive responses to exercise suffer from the same problem. What seems clear enough is that many strength trainers who take vitamins seem to progress very nicely, so some humility about this subject might be in order. Yes, it’s speculative. But so is the idea that 1 g vitamin C and 350 IU vitamin E are harmful. I’m merely presenting the alternative view. I agree with Bill when it comes to bodybuilders. Many of those bodybuilders used PEDs, which is a huge confounder. Personally, I’m going to continue to lift weights and, consequently, will have larger muscles than if I did not. For me, lifting weights reduces stress much better than aerobics (which I also do). Sometime ago Scientific American did a nice review of the literature regarding dosing with antioxidants and concluded that it interferes with the body’s own anti oxidant system. Not sure you present compelling evidence. That’s a big topic! Of course antioxidants will modulate and potentially could disrupt oxidative signaling. But lack of antioxidants can make normal oxidative signaling tissue-damaging. So it is a question of finding the optimum. 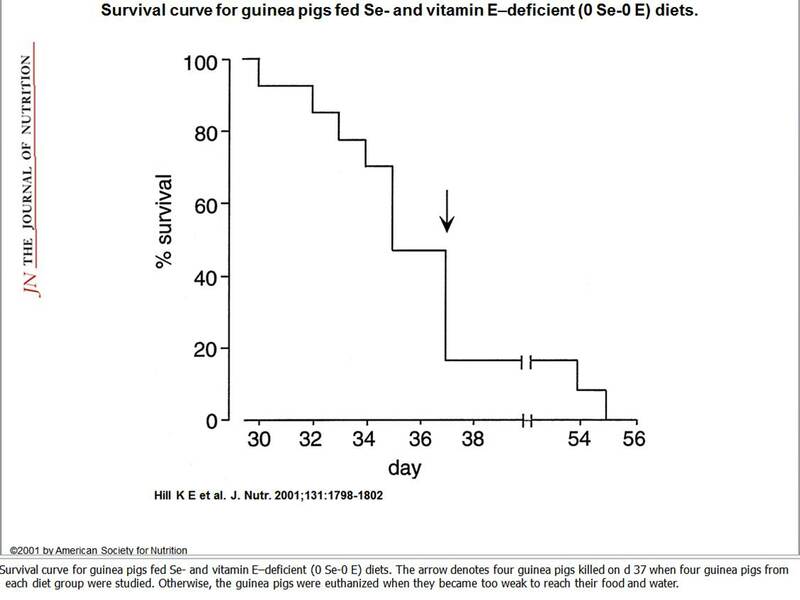 In this study, there were only two groups, and the 1 g vitamin C + 350 IU vitamin E group was healthier than the 0 supplement group. So this is a pro-supplementation study, for a moderate dose of supplements in an elderly population being stressed by rigorous exercise. when a natural weightlifter or a natural powerlifter trains to be stronger, his workout causes myofibrillar hypertrophy; we have stronger muscles, (naturally) bigger muscles, maybe healthy bigger muscle? You wrote: “many techniques which cause muscular hypertrophy will be health-damaging”. Probably many techniques, I agree. Maybe your point is “SUPER” large: but it’s normal that a stronger muscle is a bigger muscle, and I think that it’s healthy, not unhealthy. Probably yes, in my opinion. Yes, it’s not a SUPER hypertrophy, but a (healthy?) hypertrophy linked to strength. I really am sure it’s unhealthy. Yes. To be really strong, muscles need to become large. However, we really shouldn’t assess response to exercise by size, but rather by strength. And if Bjornsen had assessed by strength, he couldn’t have concluded that antioxidants impaired the response to exercise. Now, at some dose I’m sure the antioxidants would impair the response to exercise, and damage health. But that dose wasn’t reached in this study. Again, I think this is much too simple. It is well known among those who strength train that some people become extremely “strong” (i.e., can lift heavy weights) without a lot of muscular hypertrophy. Others get huge muscles but can lift much less. Much of this difference appears to be genetic, though different training approaches may favor “strength” vs. hypertrophy. The basic biology of all this is far from understood. The long term implications for health and longevity even less so. What is true I think is that stimuli for increasing the capability of skeletal muscle, whether “exercise” or occupational or something else, generally lead to both size and apparent strength increases, with the relative change varying enormously depending on person and perhaps context. Many strength trainers get somewhat bigger muscles at the beginning and then plateau in hypertrophy but continue to get gradually “stronger” in terms of weight lifted for a long time afterward. Thanks Bill. I should have said “larger” rather than “large”. Producing the greatest levels of tension in muscles occurs at the speed of thought. This is easily demonstrated when a person lifts a gallon sized plastic jug they he/she thinks is filled with water – but is actually empty; the lifter jerks the jug with too much force. Muscles produce more tension IF you think the object is heavy or if it actually is. This post/discussion is incomplete in many ways; only one is that it fails to explain/account for the difference between myofibrillar growth vs sarcoplasmic growth and the type of training that accounts for each adaption. One type allows for huge strength gains while minimizing muscle girth while the other essentially causes muscles to uptake more glycogen and water. Inflammatory and peroxidation responses reflect a continuation of the ‘negative’ responses of sarcoplasmic training and overtraining in general by placing too much stress on muscle cells. In a nutshell, body builders train to failure – whereas smart, non-competitive power lifters train their nervous systems – not their muscles per se. Training muscles to produce near peak tension repetitively (not for a one rep max lift) demands NOT training to failure. One commenter mentioned Tsatsouline; he gets this and has written a book on it. Coordination is a less significant part of a the whole picture since it is more a fine tuning of motor skills and less of muscles’ overall ability to simply produce near peak or peak tension. Forcing a muscle to produce peak tension is necessary for what? Winning a competition or during fight or flight. Both ways of training (reps/exhaustion/sarcoplasmic vs. max recruitment) tend to result in injury when….? During fatigue of course. Training to failure OR for the 1 rep max is foolish when it comes to basic strength training. ‘Older’ people (in their 60’s and lower 70’s) who have never lifted weights (but posses generally healthy constitutions/frames and have not suffered significant injuries) can produce near peak forces with their muscles compared to when they were in their 30’s. This is due to neural recruitment. However, older cells/people AND untrained muscles cells are less resilient to stress, hence you’ll see more inflammation in the muscles of either ‘untrained’ young people or simply ‘older’ people – and this is what we’re trying to understand in terms of the effects of antioxidants in this article. Avoiding ‘wrong’ training and creating too much stress on the cells is the other half of the picture. Essentially, stress/weight lifting is a stress to cells. An excited or relaxed cell is synonymous with the flow of water and electrolytes in or out of the cell. 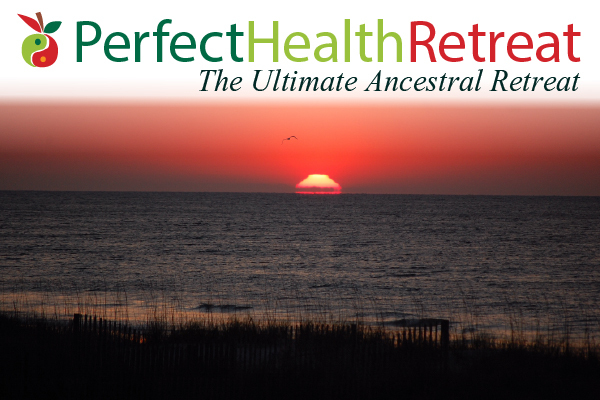 Chronic fatigue and stress is synonymous with ‘overexcitation’ of your body (cells). Water held in a cell is a reflection of overstimulated swollen cells. Chronic excitation is synonymous with a fatigued cell – nerve or muscle. Go to a gym and watch… most people over train simply by going to failure. Most humans overestimate the correlation of increased muscle size with strength gains via weight training. Of course, larger people with more muscle are generally stronger – but the point is: significant strength gains are due to increasing neural activation. Building resilience via stress via ‘dosing’ the muscle with the proper stress and maintaining the cells’ ‘ready state’ (avoiding excessive inflammation) via antioxidant intake is another. Are strong people more resilient than weak people? But is it really true? Are strong people more resilient? Do they last longer when put in challenging situations? One way we can answer this question is to look at the mortality rate in elderly populations and see how it is affected by baseline measures of strength. By testing strength in these elderly groups and then following them for long periods of time, it is possible to assess whether strong people survive longer than weak people. So each individual had a score between 0 and 4 points, with those having 0 points having no weak areas and those having 4 points having weakness in all areas. The researchers found that males and females with the worst possible sum score for strength (4 points) were 2.5 and 4.4 times more likely to die during the follow-up period, respectively, than similar individuals with the best possible sum score (0 points). The researchers found that males and females with the worst possible sum score for strength (4 points) were 1.8 and 2.8 times more likely to be hospitalised during the follow-up period, respectively, than similar individuals with the best possible sum score (0 points). This study confirms previous investigations (mainly performed using grip strength) that have shown strength to be beneficially associated with reduced mortality and reduced risk of hospitalisation. What this study really adds to our knowledge is that strength measures across different parts of the body are additive when considering our risk profile. So being strong in just one area is not sufficient to reduce the mortality and hospitalisation risk in older age. Rather, being strong in multiple different movements and in both the upper and lower body is important. Very interesting study, thanks for sharing that. I wonder if what they are finding is mainly a matter of neurological health. We know that dementia leads strongly to mortality, and also that the brain often limits strength more than muscle capacity, it is wired to allow only safe exertion. As these elderly decline neurologically, their brain may not allow them to exert as much force. If so, the results may not transfer to a younger healthier population where the brain has an accurate idea of the body’s capabilities and muscle capacity is the limiting factor in strength. Very interesting, Paul! Thanks for, as usual, adding a more balanced view to the wild pro- and against swings in the blogosphere, this time in regards to antioxidants. So – for a take home message, where do you think the optimal balance for antioxidant supplements might lie? And are we to conclude then that it isn’t necessary to avoid antioxidant supplementation on workout days in order to maintain the hormetic effects of the exercise, as long as the dosage isn’t too high? Or would it still be better to use a higher dose on alternate days, away from exercise? Hi Web, I’m afraid there’s not necessarily enough evidence to declare a specific optimum, especially when you get to timing the nutrition around exercise. In general, I stand by the advice in our book and on our supplement recommendations page for an excellent balance of nutrition as a baseline program. The key is to be well nourished, and listen to your body – don’t let your workouts beat you up too much. If you are well nourished on rest days then you shouldn’t need supplementation on workout days, but a steady daily dose should be fine too – antioxidants on workout days might reduce size gains, but they also might protect you from injury and enable you to do more work, or avoid injury. However, just supplementing on rest days should work fine too – antioxidants that are useful will stay in your body for weeks, so the protection against injury should last more than one day. Thanks, Paul, very reassuring and helpful. Thanks again!! Hi! Congrats for the awesome blog and book! In this topic though I think the analysis is a bit oversimplified. First, there are other ways of blunting hypertrophic response to typical gym training (sets of 6-12 reps close to failure with low rest time): taking NSAID and ice/cold therapies will decrease post training inflammation and, likely, muscle damage. 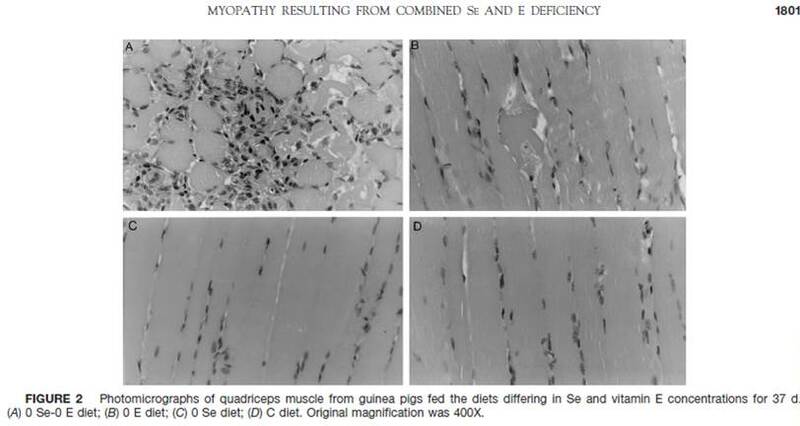 The main factor for muscle growth (long term) is mionuclei increase, which is mainly due to muscle damage. 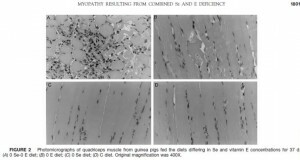 Std bodybuilding techniques are very good at creating muscle damage and muscle inflammation, taking antioxidants decreases this effect. So, in my opinion, it makes no sense to train in this way and at the same time take stuff that kills the precise effects of the training. The question if bodybuilding-style training is “healthy” is a different one though. Second, your explanation for increase of strength/size ratio with vitamins is not very credible. Another possibility is: the supp group had less doms (delayed onset muscle soreness) and was able to train at higher intensity (the 60-80 y.o. subjects trained 3/week), this gave a higher effect on the neural component of strength. Also what would have happened if the scientists measured muscle stamina as well? Maybe placebo group had better improvement in mithocondrial density and substrate (glycogen/cp/fat) adaptations, stuff that give hypertrophy but no strength. 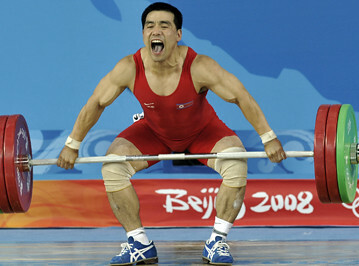 Take a typical strength/power athlete like a gymnast/long jumper/weightlifter: they will train every day or more, a very high intensity, they will not chase muscle damage and they will typically use recovery aids like icing, so the next training session they’ll be able to train very hard and increase their neural capabilities. Compare with the typical bodybuilder: he will train a muscle every 4+ days, trying as much as possible to create damage, the next days those muscles will be swollen and very sore but he will not use them. His strength/size ratio will not increase much. Two different strategies for two different purposes. Its not obvious which one is healthier long term to me. This was an eyeopener. I agree that bigger is not always better. 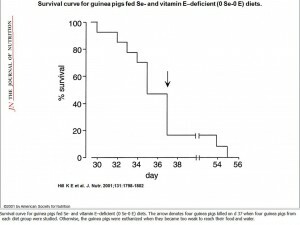 What was the vitamin E form used in this study? DL-racemate or single natural enantiomer? Usage of single form (instead of mix of all relevant tocopherols) would also potentially worsen the results for supplement group… not to even talk about introducing un-natural form to body which cannot be operated by body chemistry. Or am I wrong here, I’m not that familiar with vitamin E (for example Mercola recommends using mix of all vitamin E forms). We should’t hop into conclusions about vitamin C when it’s used in tandem with E. But it might be wise to ingest antioxidants away from training. Thanks for this blog post, I enjoyed the write-up. Are you familiar with the Gliemann study in the Journal of Physiology in 2013? Somewhat related though not exactly the same topic, and was curious about your take. I think it’s much more plausible that resveratrol would inhibit the response to exercise than vitamin C. Vitamin C is naturally high in (strong) animals but resveratrol is not, for example; and resveratrol mimics some aspects of starvation which causes muscle loss. Thanks for the paper link. I find this article fascinating. Friends of mine are convinced that for average people trying to get fit in the gym, that more muscle is always better regardless of strength. 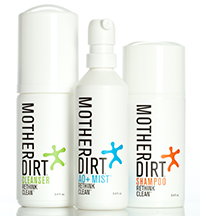 Partially for the metabolic cost and resultant energy balance, and partially for other benefits. Can you comment on what you think about having larger, relatively weak muscle to protect you from obesity and diabetes? Do you know if the science looking at strength and mortality looks at strength or muscle size? selenomethionine is organic selenium. Why not recommend it? Nice analysis and thinking out of the box ! 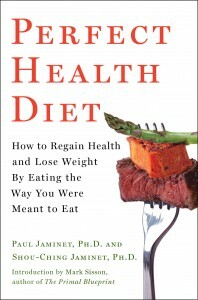 I totally agree, that there likely is an increased requirement for antioxidants, particularly of the “foot soldier”, Vitamin C/ascorbate with increased frequency and intensity of muscle training, whether anaerobically or aerobically as the energy synthesis and so oxygen turnover is increased in the mitochondria and hereby likely an associated increased free radical production (the sparks from the bonfire – the combusting/oxidation of the hydrocarbons from fat/carbs with O2 ). While ascorbate is the fastest reacting antioxidant and also has the highest affinity to the hydroxyl radical, there’s likely also an increased need for the glutathione precursors, glycine, glutamate and cysteine. Moreover, hard training, with subsequent micro-tear and/or or intracellular disruption of the Z-bands of the myofibrils there’s likely also increased need for ascorbate for new collagen fibre repair and synthesis. The bigger muscles, being damaged, aren’t quite as strong as the smaller, healthier muscles. OK. 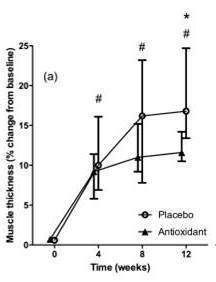 But what if you train without antioxidants for a while, thus growing bigger muscles, then resume taking antioxidants? Won’t the bigger muscles become healthy, then? Won’t you end with healthy bigger muscles? A question worth pondering, especially by athletes training for a particular event. You’re trying to make to large of a lap here, AND you’re not taking into account the drug use in bodybuilding, and the lifestyle around the professionals. they are extremist in just about all aspects of life. Comparing professional bodybuilders to the average gym goer, even to a typical gymrat is laughable. First of all how many people were in this study? Show me 1000 people – aged 35 – 55 show me the mitochondrial effects, metabolic attributes throughout. Then make a scientific conclusion. Absolutely no scientific conclusion can be made from this study by itself. For endurance exercise, should athletes take antioxidants too? Studies show that they may decrease fitness gains. That’s a complex question. There’s an optimum level of antioxidants beyond which they do more harm than good. But the optimum may be different for fitness and for health/longevity — the intakes which optimize fitness gains in response to exercise are probably lower than the intakes which optimize lifespan. That was a point of this post. If the athlete wants to optimize strength, fewer antioxidants are better. Endurance is harder to judge than strength, I’m not aware of good studies.